Condos for sale in Pulaski Park can be a hot commodity since condo prices tend to be slightly lower east of Ashland Avenue in Wicker Park. 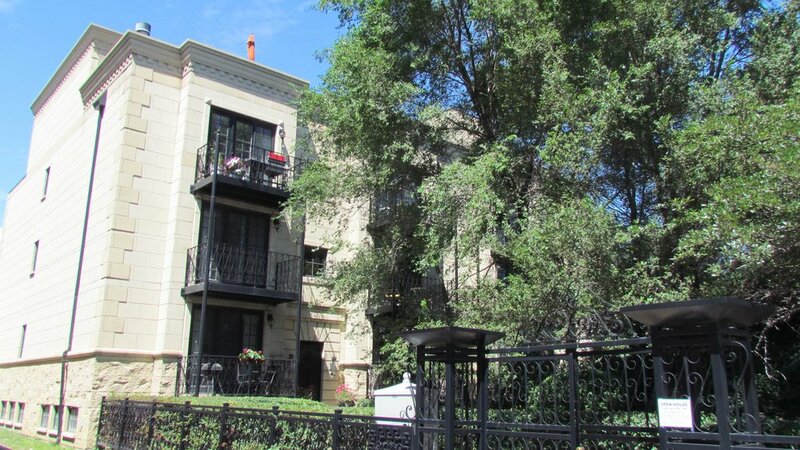 If you are searching for a condo in the Pulaski Park area, work with a West Town realtor that knows the neighborhood. Choose Better Pulaski Park Real Estate Agents. Contact Us Today! Locating the best real estate agent when you are considering buying or selling a condo, townhouse, duplex, penthouse or land in Pulaski Park can be challenging. That’s the reason so many Chicagoans choose The West Town Team’s residential realtors from Keller Williams Realty. We are recognized as a leader in real estate matters, particularly throughout Chicagoland’s Northwest Side and West Town neighborhoods. Furthermore, Chicago Association of Realtors named us as a “Top Producing Team” in 2017. We also have the background and experience to provide clients with the best services imaginable. In fact, we have always placed customer satisfaction as our top priority. Consequently, residents from Pulaski Park are in the market to buy, sell or rent a condo, townhome, duplex or penthouse, the only name they need to know is The West Town Team. Pulaski Park, Chicago has over 38,000 residents. The West Town Team at 1713 West North Avenue is less than one mile southwest of Pulaski Park. Without a doubt, when Pulaski Park residents are planning on buying a condo, townhome or penthouse and selling their home, they prefer to bring their needs to the attention of The West Town Team. Even if our Pulaski Park neighbors want to buy a parcel of land and build, we can help with that, too. Living in a home in Pulaski Park translates into big-city living, with all the benefits of public transportation and the walkability of a smaller community. Young professionals who are looking for the perks of the Windy City at a price they can afford, they should look to the advantages of buying a home in Pulaski Park. The West Town Team not only will strive to meet the expectations of their Pulaski Park clients, but they will consistently exceed them! Pulaski Park offers a range of Polish landmarks throughout the community. Also, a great many historic structures have been restored to their full glory and have reopened. Pulaski Park is a very colorful neighborhood that is favored by both hipsters and families of modest means. If you are searching for the perfect abode for your family, you need look no further than The West Town Team professionals for a change of scenery like an elegant penthouse, sophisticated townhouse, convenient duplex, stylish condo or a single family home. What’s more, we deliver savings to our home buyer clients everyday and negotiate the best price possible on their behalf. We also get our home seller clients in Pulaski Park the highest prices possible when selling their homes. To schedule an appointment with one of our agents when you are looking to buy or sell a home in Pulaski Park, call The West Town Team at: (312) 767-7504. Questions on Buying a Condo in Pulaski Park? Contact Us!